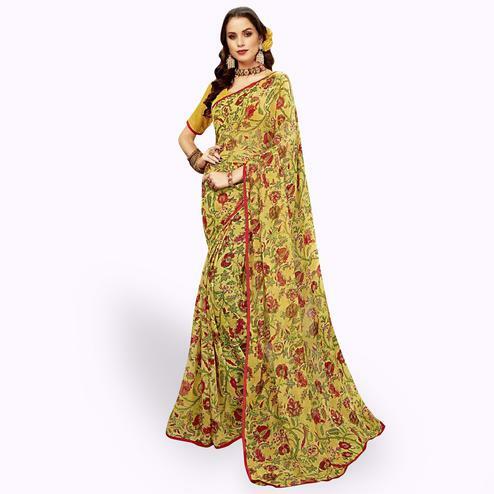 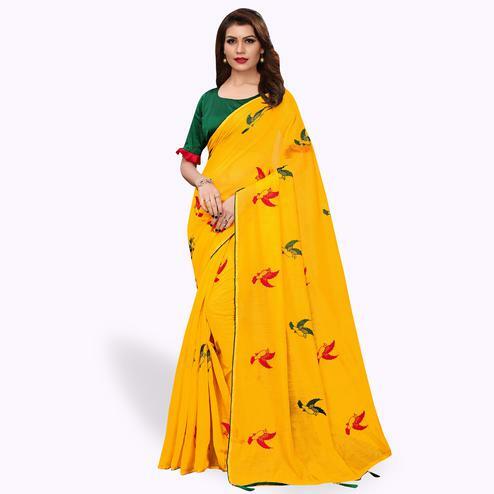 This yellow color saree made out of georgette fabric has got digital print in geometrical design at body and floral design on net sleeves of blouse that reflects the beauty of the overall attire. 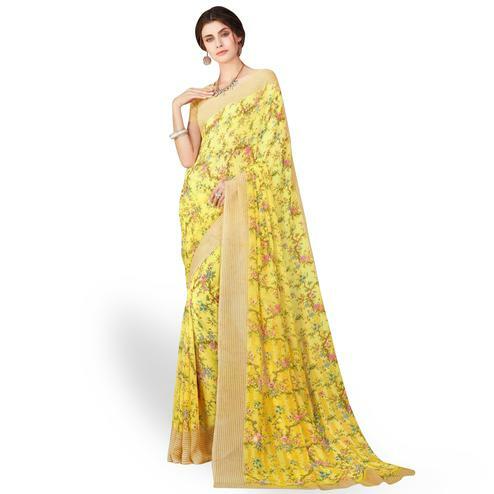 Saree paired with banglori silk and net unstitched fabric blouse piece. 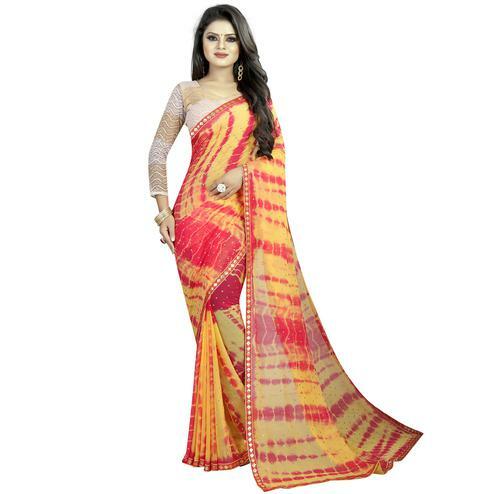 Women can wear this saree for casual outing and get together.